Rashtriya Janata Dal (RJD) leader Tejashwi Yadav on Thursday said his party will support the Janata Dal-United (JD-U) in Bihar if Chief Minister Nitish Kumar retires from active politics. 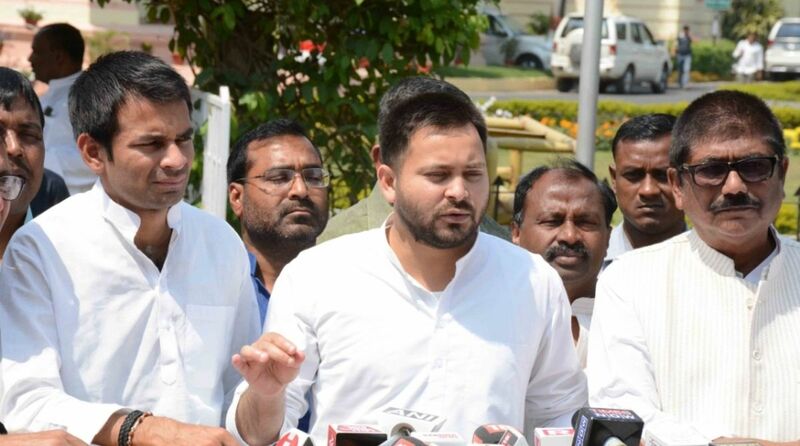 Tejashwi Yadav, the Leader of Opposition in the Bihar Assembly, also reiterated that RJD will not allow Nitish Kumar’s return to the Grand Alliance ahead of the 2019 Lok Sabha polls. “If Nitish uncle retires, we will support JD-U,” Tejashwi said at a function to mark the 22nd foundation day of RJD that was celebrated without his father and party chief Lalu Prasad here. Tejashwi Yadav taunted Nitish Kumar, saying he has been suffering from “political fever” — in reference to reports that the Chief Minister was not well. “We do not want, at any condition, to see Nitish Kumar in Grand Alliance. If he joins the Grand Alliance again, then Tejashwi will be called greedy. How can we offer membership to those who insulted the mandate of the people? We will not allow his entry into the Grand Alliance,” Tejashwi Yadav said. Last July, Nitish Kumar — also the JD-U president — joined hands with the BJP and formed the government in the state after dumping the Congress and the RJD.